During a long day of driving, we took a mandatory waterfall break at Falls Park, located on the north end of Sioux Falls, South Dakota. 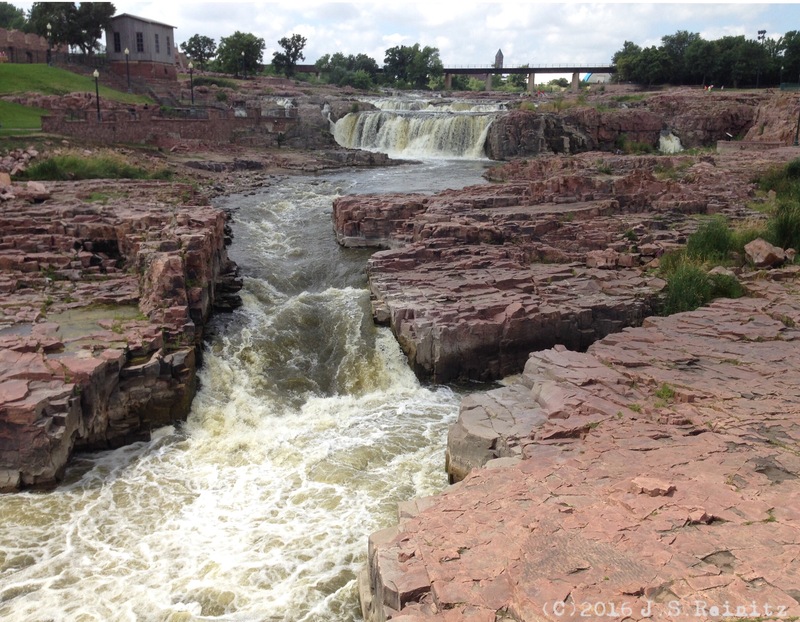 The site features a series of falls where the Big Sioux River cascades over pink quartzite cliffs. 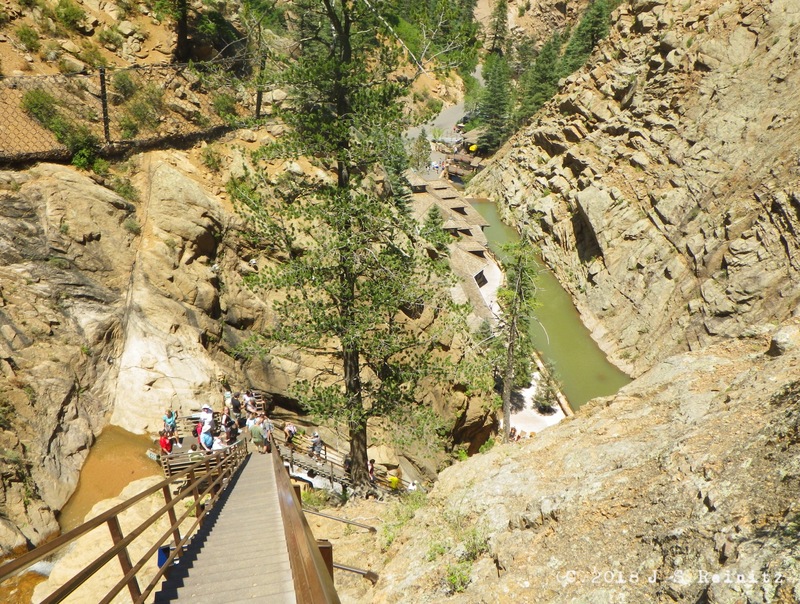 There are the remains of the Queen Bee Mill, which was built in the 1880s and shuttered after a few short years in operation, and a former hydroelectric plant that had a longer run, cranking out power from 1908 until 1974. The power plant now houses a cafe. An observation tower and gift shop complete the scene. 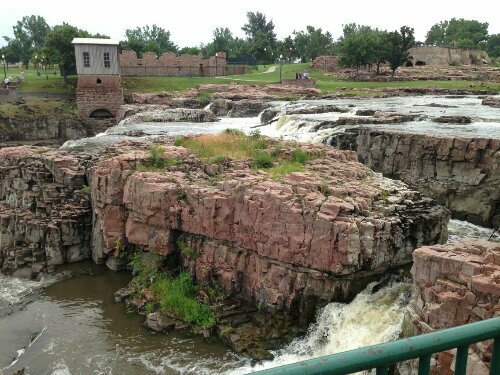 On our trip to the Black Hills, we took a break at Falls Park in Sioux Falls. It was a great start for the long trek west across the grasslands of South Dakota. That night, we attempted to camp at Kennebec, but the rain was coming down too hard to set up the tent, and the storm front seemed to hover over the area. After an hour of watching the rain and playing pinpong in the KOA clubhouse, we headed on down the road and found a motel in Murdo (home to an automobile museum that boasts Elvis’s Harley and the Dukes’ General Lee). At some point we missed the sign that told us we were entering the mountain time zone.